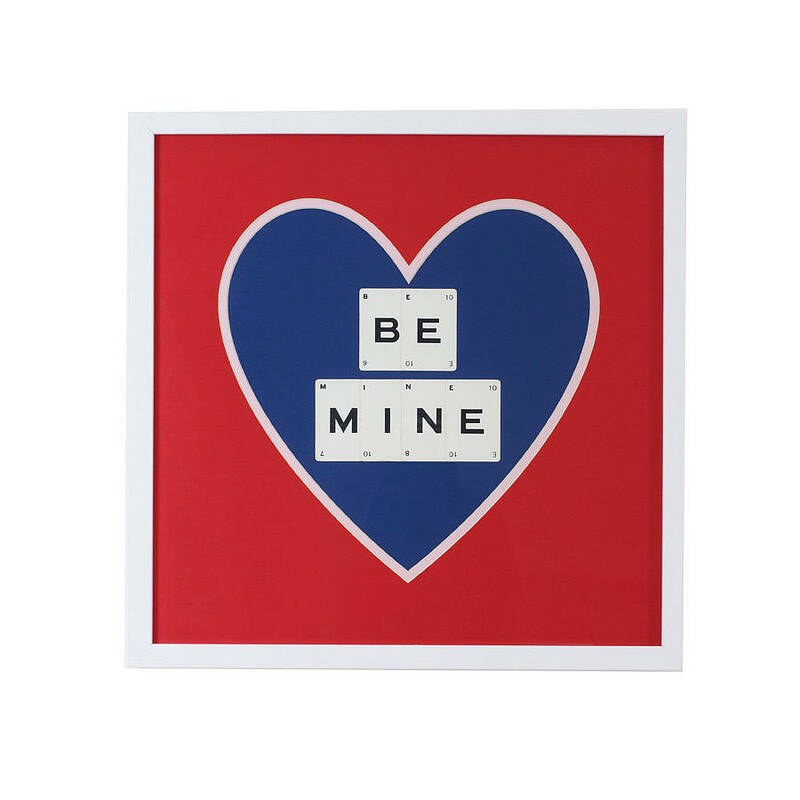 Show your love with this colourful heart frame, inspired by traditional sweetheart slogans. 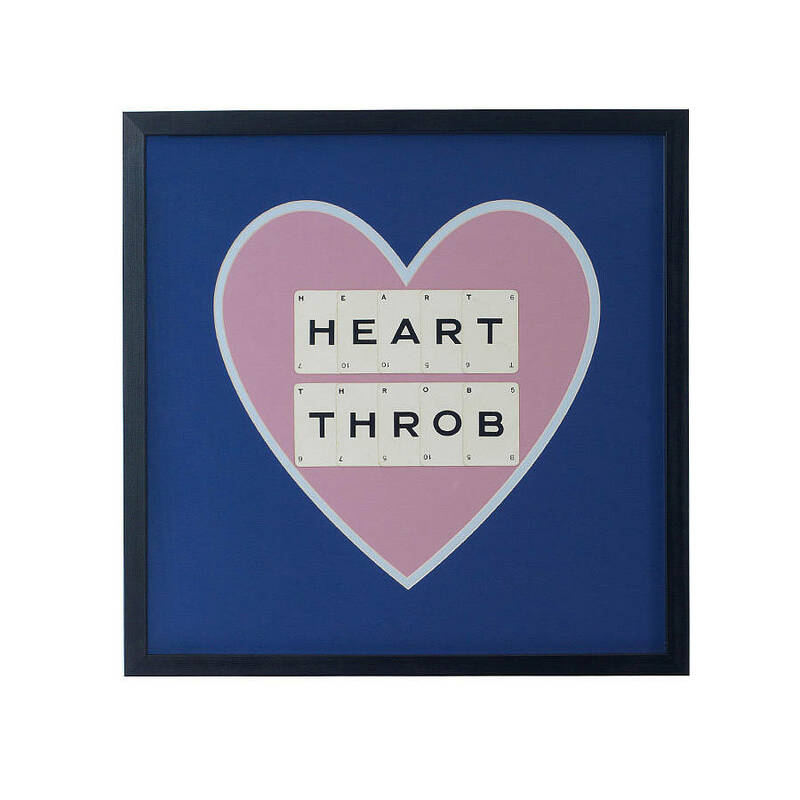 It contains individual vintage cards sourced from a 1930s spelling game. 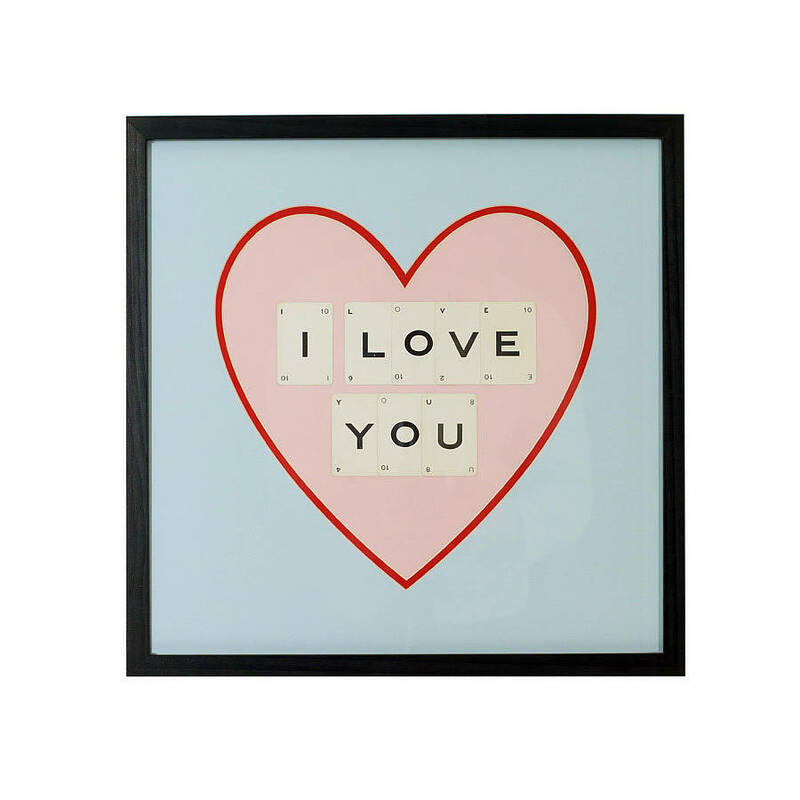 The cards are carefully displayed onto cream and black mount and showcased in a black box frame. 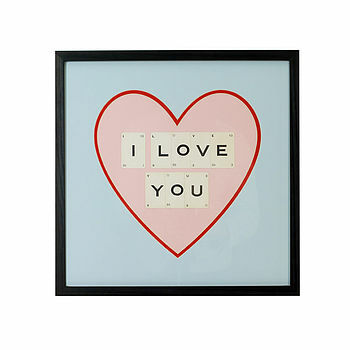 It's a perfect gift idea, makes a great addition to any home and is an ideal present for Valentine's Day. 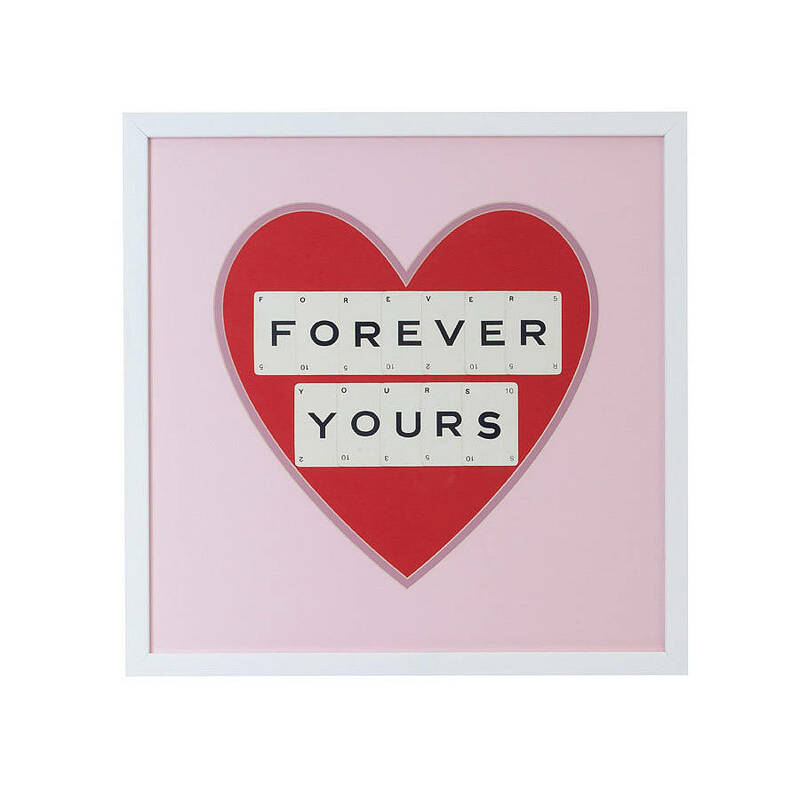 Vintage Playing Cards has a wide range of frames and personalised frames that are ideal for any occasion all year round. 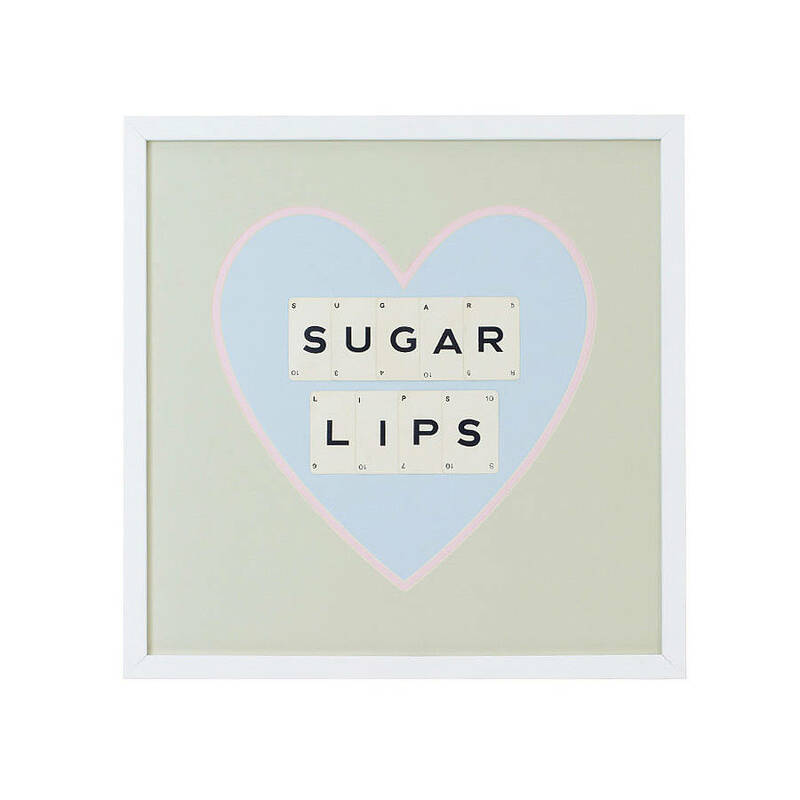 Choose from: I Love You, Be Mine, Forever Yours, Heart Throb, Sugar Lips or Kiss Me. Lovingly handmade in our Suffolk studio. This product is dispatched to you by Vintage Playing Cards.